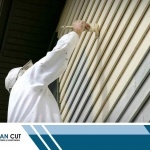 Clean Cut Painting & Handyman always aims to deliver the highest-quality painting and home repair services in Decatur, IL, and nearby communities. We ensure timely and efficient workmanship in every project we undertake. Our uncompromising commitment to quality has made us one of the most trusted house painters in the area! To serve you better, we recently made some remarkable improvements to our website. We want you to have a more convenient and streamlined experience when you turn to us for your home improvement needs, starting with a newer, better website. With it, you’ll have a clearer idea of what we can do for you. Clean Cut Painting & Handyman is your best choice for home upgrades. As interior and exterior painters, we can coat walls, ceilings, trim and foyers with our top-of-the-line painting products from Sherwin Williams. You can also take advantage of our related services, such as puttying, caulking, cleaning, scraping and light sanding. 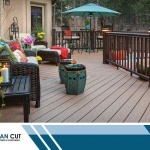 In addition, we can work on your decking, fence and garage. Aside from home painting, we also offer power washing services to keep your home, driveway and landscape clean and beautiful while preventing mildew and algae from forming. Is there dry rot around your home? We can deal with that too via our wood replacement services. Need a handyman? 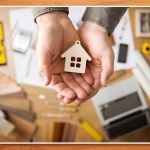 We also do small home projects and repairs, including everyday household maintenance. 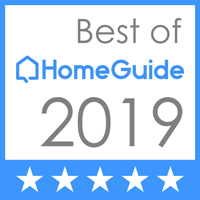 If you want to stay updated on the latest news, handiest tips and most advanced options related to the home improvement industry, visit our blog page. As a one-stop guide for all your home painting and repair needs, this blog will help you with everything, from deciding which color palette to choose for your painting project to how you can find the best home interior painters for the job. Check out our “About Us” page to learn all about our founder and professional team. 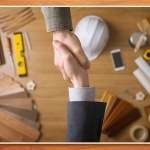 In this section, we cite the reasons on why you should work with us and how we can ensure a smooth, worry-free home improvement experience. Nee to get in touch with us? Asking us for an estimate or inquiring about our products and services can be accomplished in just a few seconds through our improved website. Curious about the projects we’ve completed previously? Visit our photo gallery to see how our services have made a huge difference to homes in Decatur, IL, and nearby communities. With our professional interior-exterior painting and repair services, Clean Cut Painting & Handyman can help you achieve a more beautiful and functional home. Call us at (217) 330-7310 or fill out this convenient online form to get your free estimate. Talk to us today!